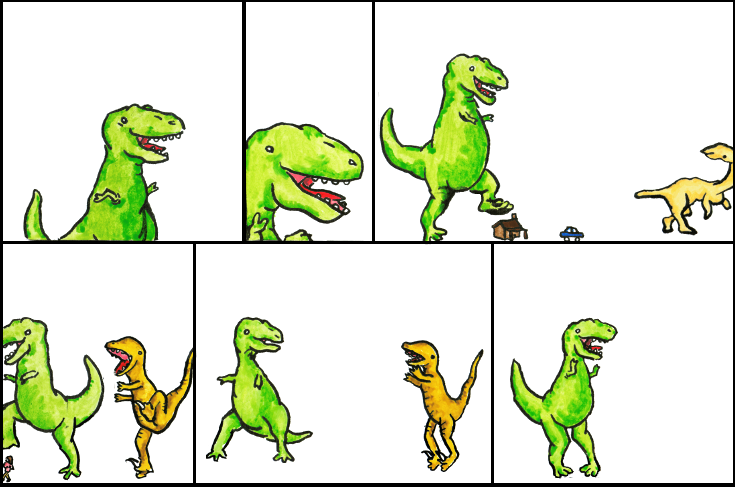 Dinosaur Comics - January 18th, 2011 - awesome fun times! –But this time... THEY BROUGHT A FRIEND. January 18th, 2011: Guys remember when I linked to My Cardboard Life yesterday? Check out this comic and follow the post beneath. Pretty awesome! Joey Comeau of A Softer World dot com gave me a very nice present yesterday, and that present was every Mario-related article on Wikipedia gathered, crossreferenced, printed and bound in a two-volume set. 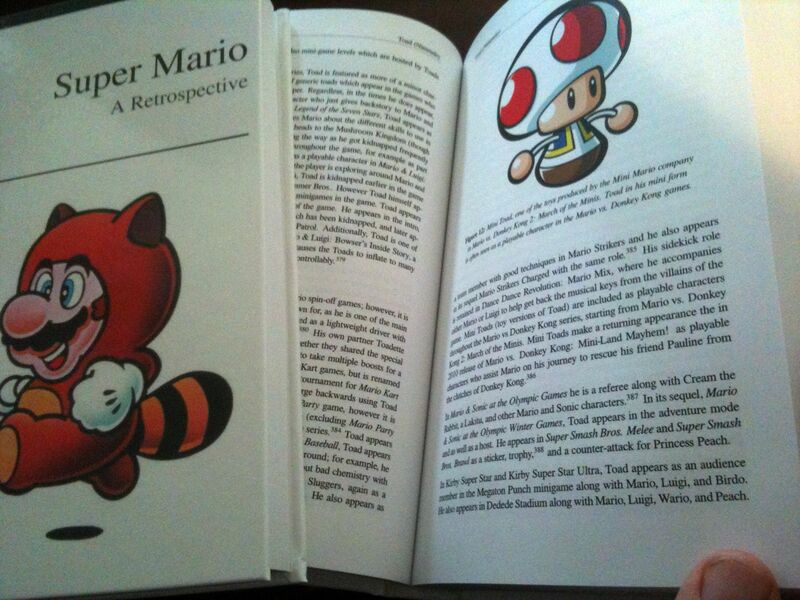 I now own a custom Mario encyclopedia, and it is amazing. Thanks Joey! I'm looking forward to the next time someone asks me a Mario question so I can peer over my glasses and say "Let me refer to my CUSTOM ENCYCLOPEDIA ON THAT SUBJECT" while retrieving the volumes from my study. The other neat thing is that, coming from Wikipedia, the book credits everyone who's edited the articles - so if you've ever made a change to a Mario page on Wikipedia, your name is now on my bookshelf!